Image 1 of 53. Click to view fullscreen. Experience real Austrian hospitality! Welcome to your unforgettable holiday at the Landhotel Römerhof in Dorfgastein. Location of the propertyThe family-run 4-star Wellness und Aktivhotel Römerhof in the Gastein Valley is located in the idyllic center of Dorfgastein in the Salzburger Land, in a quiet location. After a short walk you reach the valley station Fulseck, your entrance to the family-friendly ski resort Dorfgastein-Großarl, as well as the hiking paradise of the Hohe Tauern. DescriptionIn our 38 bright rooms and suites at the Landhotel Römerhof, natural materials such as solid wood, leather and loden create a cozy atmosphere. Your children will love their own kingdom: The family nests in country house style promise privacy thanks to separate bedrooms. The family apartments in Stadlergut (35 meters away) offer plenty of space. A secret tip for couples and families alike is the historic Roman tower. There you can enjoy alpine luxury on 90m². 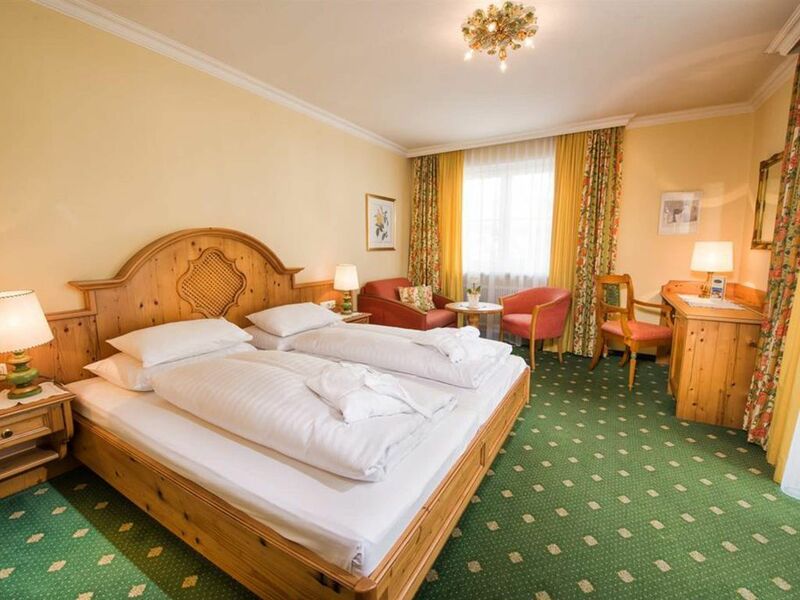 All rooms have a spacious balcony where you can enjoy the fresh Gastein mountain air. Begin your hiking day in the Gastein Valley with a hearty breakfast from the buffet, where a bio-corner awaits you. After an active day of skiing with a partner in the Ski Amadé Ski Association or a guided hike in the Hohe Tauern, Chef Karl spoils you with his 4-course menu with his regional and international delicacies. A fine wine tasting at a private wine tasting in the wine cellar with our Thomas. The adventure pool and the sauna world are the heart of the wellness lagoon in the Landhotel Römerhof. Unique is our relaxation room, which is located in the historic cellar vault of the Roman tower. Relax with a massage while your kids discover the playroom. Feel the invigorating effect of the Gastein thermal waters when visiting the Alpentherme or the Felsentherme Bad Gastein. Winter in GasteinThe wonderful ski slopes of the Ski Amadé Ski Association, idyllic winter hiking trails and fast-paced toboggan runs as well as the Gasti Club offer you a lot of fun and variety during your family holiday in Dorfgastein in the Gastein Valley. Summer in GasteinAs a GASTI Family Partner your children will benefit from the free summer offer. Whether baking bread on the mountain pastures or educational walks - fun, games and adventure are guaranteed in Gastein. Family Hasenauer is looking forward to having a great time with you at the Landhotel Römerhof in Dorfgastein!